Subhash Kalra studied architecture at the renowned School of Planning & Architecture in New Delhi, India. As a student, he was recognized with the Nehru Meritorious award, as well as the first-class gold medal across all students of Delhi University in 1973. Shortly thereafter, he won the design competition for the International Trade Fair in New Delhi, India. His experience in the Middle East traces back to 1975, when he first started working in Tehran, Iran. In 1979, after gaining local experience and exposure for a few years, he joined Pan Arab Consulting Engineers (PACE) — a leading engineering consultancy firm based in Kuwait. Quickly rising amongst the ranks, in 1989 he was promoted as the Chief Architect and was responsible for leading the design studio. 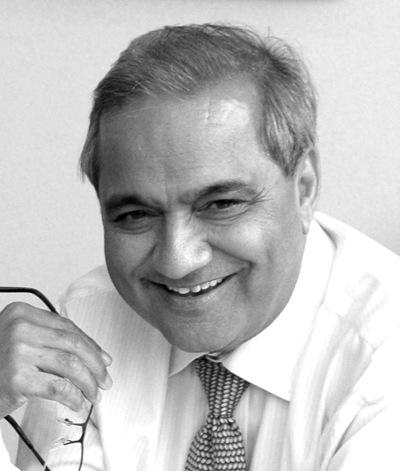 During his time with PACE, among others, Subhash Kalra was responsible for development of the headquarters of the Arab Organization, the Arab Banking Co-operation, Kuwait Conference Center (Bayan Palace) and various high-rise multi-story corporate offices and mixed use developments. He also worked with Skidmore Owings Merrill, based out of Chicago, on an award-winning project. Looking for bigger challenges, in 1990 he moved to Dubai and joined TEST as a Technical Manager. While bringing a culture of excellence to the team, he worked on many commercial, residential and hospitality projects with the likes of Hyatt, Marriott, Sheraton and Intercontinental.